Annie sent me a copy of her book https://www.etsy.com/shop/ASpinnerWeaver. 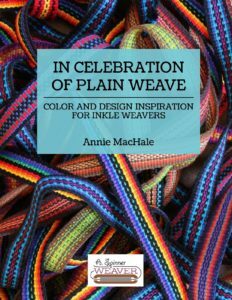 I’m very happy that the pattern editor could have help her to write such a great book. I then decided to update and simplify the seizenn editor. You can found a test version on http://www.raktres.net/seizenn/v2/editor.html, I need some feedbacks before I could replace the present version. Fell free to send comments if you find bugs or if something doesn’t work the way you would like to. I didn’t used a bag for a long time and lost the strap. So I decided to weave a new one. Pattern editor had been modified a bit few days ago. This post aims to list the most visible improvements. We saw previously how to reproduce a Norwegian pickup pattern. 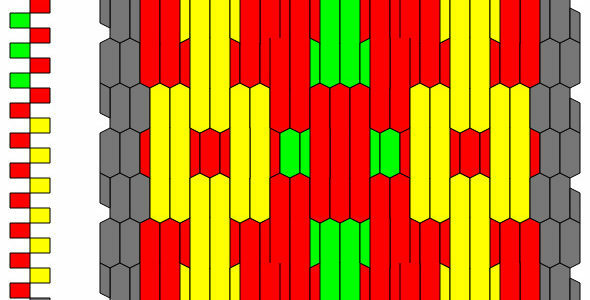 Let’s now study how to include such a pattern in a larger loom. 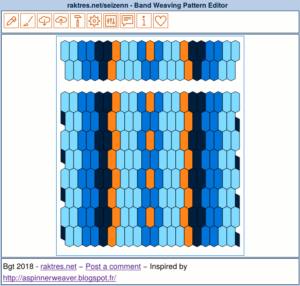 A small update of the inkle weaving pattern editor, mainly on the visual part of the screen. 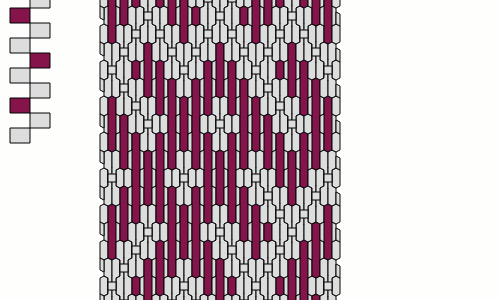 a new presentation of pattern tables. 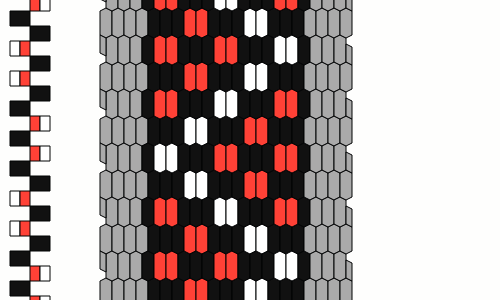 A two lines pattern on the top and the one-line pattern on the left to help you to add yarns on the inkle loom. a few hints at the top: total number of threads, number of threads by each color and a small comment. a simplified way to save and share patterns thanks to short links and QRcode. The tool also moved to the page http://www.raktres.net/seizenn/loom_weaving_editor.html but the old adress still works.